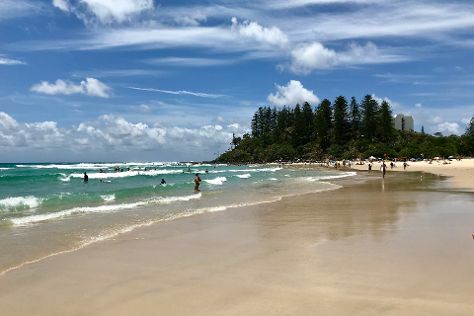 Start off your visit on the 13th (Fri): stroll through Coolangatta Beach and then kick back and relax at Burleigh Heads Beach. On your second day here, take in panoramic vistas at SkyPoint Climb, enjoy the sand and surf at Kurrawa Beach, then stroll through Burleigh Head National Park, and finally stroll through Kirra Beach. To find more things to do, other places to visit, ratings, and other tourist information, read our Gold Coast online journey builder . Sydney to Gold Coast is an approximately 3.5-hour flight. You can also do a combination of flight and train; or drive. In July, daily temperatures in Gold Coast can reach 24°C, while at night they dip to 11°C. Cap off your sightseeing on the 14th (Sat) early enough to travel to Cairns. On the 15th (Sun), look for all kinds of wild species at Wildlife Areas. Get ready for a full day of sightseeing on the next day: identify plant and animal life at Australian Butterfly Sanctuary, then kick back and relax at Trinity Beach, and then step off the mainland to explore Michaelmas Cay. To see other places to visit, traveler tips, photos, and tourist information, go to the Cairns sightseeing planner. Traveling by flight from Gold Coast to Cairns takes 4.5 hours. Alternatively, you can do a combination of train and flight; or drive. Traveling from Gold Coast in July, expect Cairns to be a bit warmer, temps between 30°C and 20°C. Finish up your sightseeing early on the 16th (Mon) so you can travel to Darwin. Kick off your visit on the 17th (Tue): get a dose of the wild on a nature and wildlife tour. Here are some ideas for day two: identify plant and animal life at Territory Wildlife Park, learn about all things military at Darwin Aviation Museum, and then get some thrills on the water with a speed boat tour. To find other places to visit, more things to do, maps, and tourist information, refer to the Darwin trip planner . Traveling by flight from Cairns to Darwin takes 5.5 hours. Alternatively, you can drive; or take a bus. Expect somewhat warmer weather when traveling from Cairns in July: highs in Darwin hover around 36°C, while lows dip to 22°C. Finish up your sightseeing early on the 18th (Wed) so you can travel to Alice Springs. Start off your visit on the 19th (Thu): contemplate the long history of Alice Springs Telegraph Station Historical Reserve, then look for all kinds of wild species at The Kangaroo Sanctuary, then look for all kinds of wild species at Alice Springs Reptile Centre, and finally look for all kinds of wild species at The Emily and Jessie Gaps Nature Park. To see where to stay, maps, and tourist information, read our Alice Springs visit planner. You can fly from Darwin to Alice Springs in 5.5 hours. Other options are to drive; or take a bus. While traveling from Darwin, expect slightly colder days and colder nights in Alice Springs, ranging from highs of 24°C to lows of 3°C. 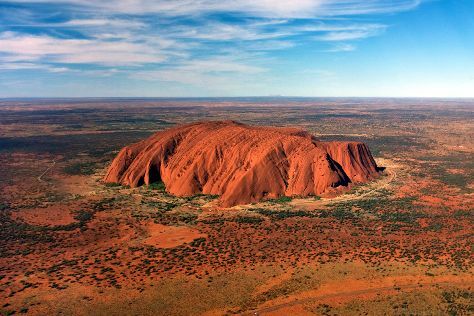 Cap off your sightseeing on the 19th (Thu) early enough to travel to Uluru-Kata Tjuta National Park. Start off your visit on the 20th (Fri): trek along Kuniya Walk, then take in the dramatic natural features at Uluru, and then admire the verdant scenery at Valley of the Winds. On the 21st (Sat), you'll have a packed day of sightseeing: get outside with Walpa Gorge, then take in the dramatic natural features at Kata Tjuta, then get engrossed in the history at Uluru-Kata Tjuta Cultural Centre, and finally tour the pleasant surroundings at Uluru Hiking Path. For reviews, where to stay, photos, and tourist information, you can read our Uluru-Kata Tjuta National Park visit planner. Traveling by combination of taxi and flight from Alice Springs to Uluru-Kata Tjuta National Park takes 2 hours. Alternatively, you can drive. July in Uluru-Kata Tjuta National Park sees daily highs of 24°C and lows of 4°C at night. Wrap up your sightseeing on the 21st (Sat) early enough to travel to Bendigo. The architect Vahland had designs to make Bendigo a "Vienna of the south" by encouraging European artisans to immigrate to the city. Kick off your visit on the 22nd (Sun): contemplate the waterfront views at Lake Weeroona, examine the collection at Golden Dragon Museum, then explore the world behind art at Bendigo Art Gallery, then admire all the interesting features of Central Deborah Gold Mine, and finally admire the landmark architecture of Sacred Heart Cathedral. To see more things to do, traveler tips, maps, and more tourist information, you can read our Bendigo online holiday planner . Do a combination of flight and train from Uluru-Kata Tjuta National Park to Bendigo in 6 hours. Alternatively, you can drive. Finish up your sightseeing early on the 22nd (Sun) so you can go by car to Melbourne. 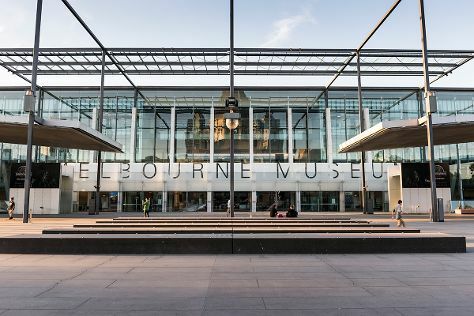 Start off your visit on the 23rd (Mon): see the interesting displays at Melbourne Museum, then admire the masterpieces at National Gallery of Victoria, then enjoy the sand and surf at St. Kilda Beach, and finally take in panoramic vistas at Eureka Skydeck 88. For ratings, other places to visit, photos, and other tourist information, read our Melbourne online trip itinerary maker . Traveling by car from Bendigo to Melbourne takes 2 hours. Alternatively, you can take a bus; or take a train. In July, daily temperatures in Melbourne can reach 15°C, while at night they dip to 6°C. Finish your sightseeing early on the 23rd (Mon) to allow enough time to travel back home.